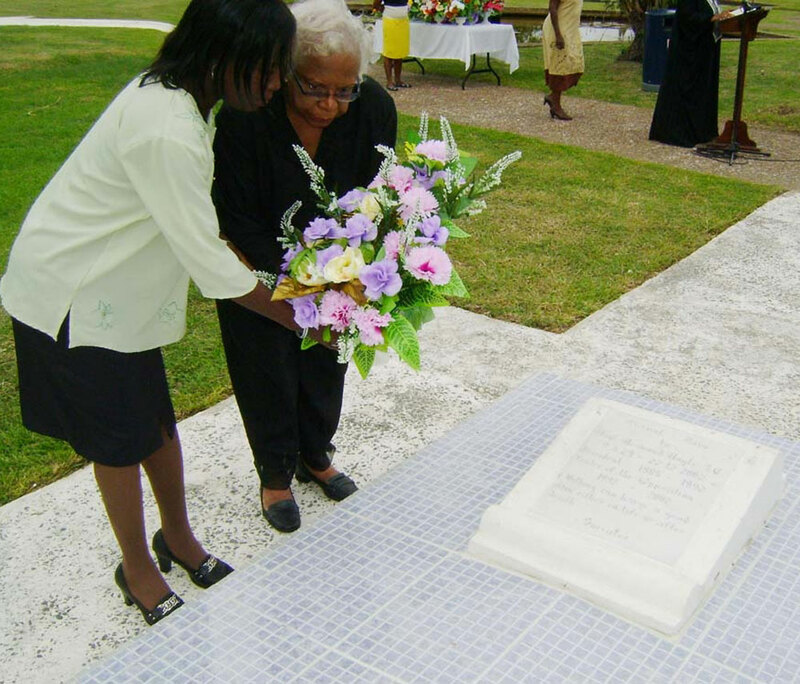 Farewell to Former First Lady Joyce Hoyte. …may she finally rest in peace. Today, I read of the passing of Guyana’s former first lady, Joyce Hoyte. After a brief period of illness, she died on Valentine’s Day at St. Joseph’s Mercy Hospital in Georgetown. She was 77 years old. She was the last remaining member of her family. Joyce Hoyte was the wife of Hugh Desmond Hoyte who served as Prime Minister of Guyana from 1984 to 1985 and President of Guyana from 1985 until 1992. With obligation to family and his country, Desmond Hoyte masterfully navigated a personal and emotional minefield in May 1985. His entire family, traveling in advance to hear him deliver the May Day address in the town of Linden, was dealt a fatal blow on the evening of April 30, 1985. Their vehicle crashed, killing his only two children: Amanda and Maxine, his sister-in-law and his driver. Only his wife, Joyce, survived. Fraught with grief and tragedy, Desmond Hoyte always continued to skillfully lead his countrymen. He simultaneously mustered the strength to discharge his ministerial duty, and went on to deliver the May Day address the next day after the loss of his love ones. Guyanese remembered listening to the live broadcast on the radio, describing it as an inspiring, yet somber speech which gushed from his mountain of anguish and deep affliction (http://en.wikipedia.org/wiki/Desmond_Hoyte). Hoyte passed away in December 2002. Mrs. Hoyte suffered injuries from the accident and it is believed that these were the cause of the severe pains she experienced in the region of her back for some time. Close friend and People’s National Congress Reform (PNCR), Executive Member, Ronald Austin, “Mrs. Hoyte never really recovered from the tragedy. 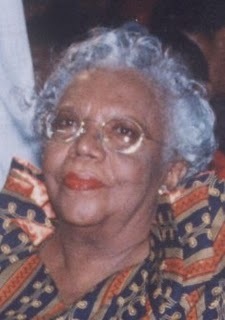 Another person who was present with Austin when Mrs. Hoyte died, said that on St. Valentine’s Day, Mrs Hoyte opted to join the people she loved (http://www.guyanaobservernews.org/content/view/4647/94/). Mrs. Hoyte was described as a very strong-willed woman who was without a doubt deeply in love with her husband and was very steadfast in her loyalty to him and had taken a strong interest in his political career. She was an avid reader even of newspapers published both locally and overseas, and thus kept abreast of current affairs on a global scale. Even when it neared the end for her husband, Mrs Hoyte remained dedicated to him, Austin recounted. Presidential hopeful and a close friend of Mrs. Hoyte, Carl Greenidge shared his thoughts about her. She was a very strong character with a very sharp sense of humour. She also had a keen interest in detail and had an intense curiosity for things politics. “As a First Lady she was extremely dignified. She took an interest in very many things without you realising and she was quite protective of her husband sometimes to the point of being aggressively so,” he recalled. As part of her genuine interest, she would often time seek to be helpful to those with various problems and would even at times requested of her husband to render assistance if she personally couldn’t (http://www.kaieteurnewsonline.com/2011/02/15/former-first-lady-joyce-hoyte-passes-on/). Others describe her as a graceful, caring wonderful, dignified woman, with charm, poise and wit. She was humble, not allowing her position of First Lady to get the better of her. She will be greatly missed by those who knew and loved her. It is the closing of a sad chapter in the life of a woman who has endured great personal tragedy. May she finally rest in peace. ~ Adele Butler @ A Celebration of Women, 2011.